The Solar Boat. Giza, Egypt. Circa 2500 B.C. Purpose: To transport the king and his worldly possessions across the heavens in his afterlife. Dimensions: 143 feet long and 19.5 feet wide. Discovered: In 1954 at the foot of the Great Pyramid in Giza. It was broken into 1224 carefully laid out pieces that made it possible to be reassembled into a fully intact ship. Prediction: If placed in water, it could sail today. 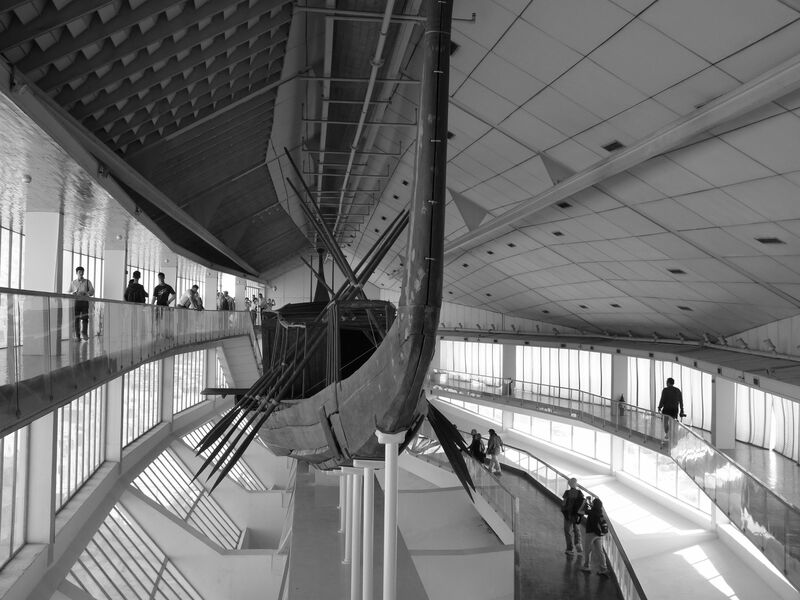 Location: The Solar Boat Museum in Giza, Egypt.